Priest outlines a new approach to priesthood, suggesting that we only begin to understand what a 'priest' is once we have understood what priesthood is theologically and biblically - God's way of blessing the world. The key ideas of the book are (1) that Christ is the 'true High Priest' - he is therefore our clue to understanding the nature of priesthood; (2) that the priestly ministry of Christ consists of two parts - MEDIATION (mediating God to us and us to God) and ENABLING (enabling us and all of creation to reach its divine destiny, to be a true reflection of the glory of God); and (3) that priesthood is therefore the way God blesses the world, by choosing a part to be the means of blessing the whole. He chooses humanity to care for and bless the earth, Israel as a priestly nation to bless the world, and the church as his means of blessing the rest of humanity. 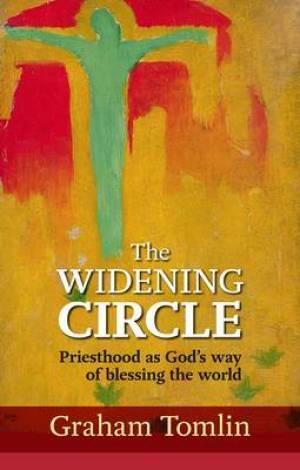 The Widening Circle by Graham Tomlin was published by SPCK in November 2014 and is our 16326th best seller. The ISBN for The Widening Circle is 9780281069026. Be the first to review The Widening Circle! Got a question? No problem! Just click here to ask us about The Widening Circle.